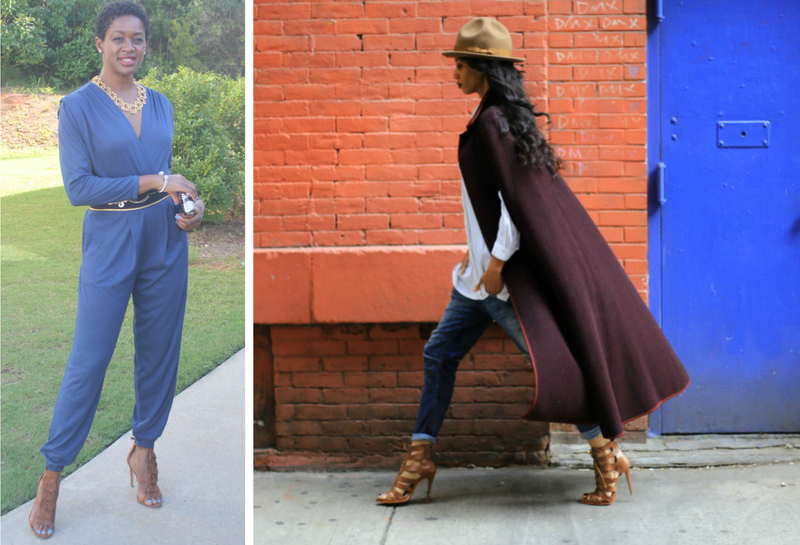 I follow quite a few bloggers who provide tons of inspiration for styling those thrift store finds. Nothing says style like making old clothes look fresh and modern. These women are doing it and doing it well! 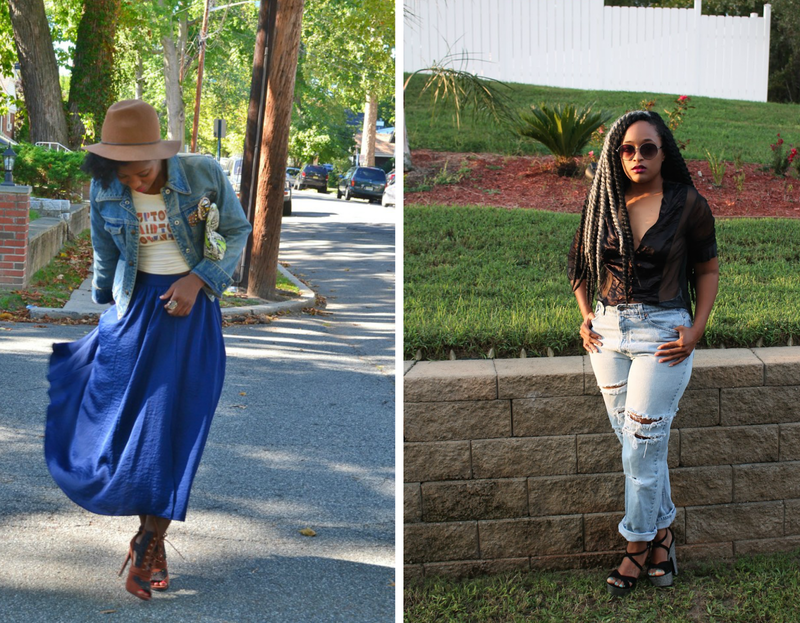 (1) Stylishly Decadent shows us how to get in on the fringe trend with thrifted belt. 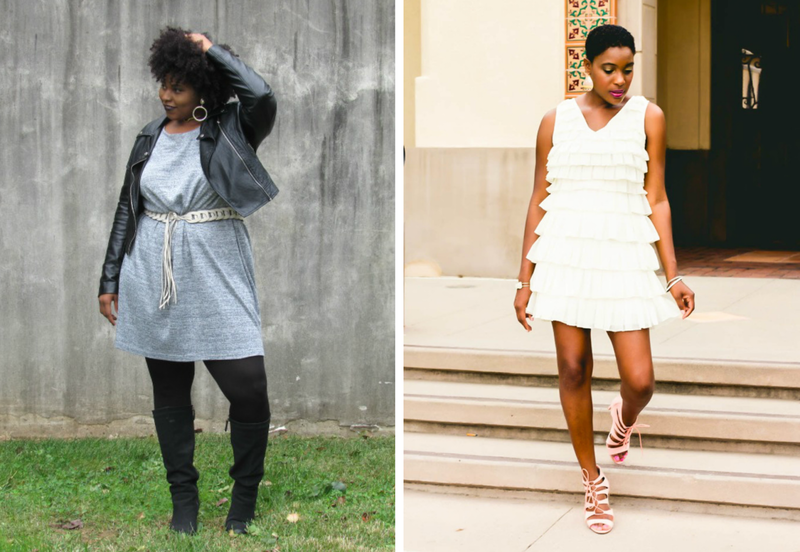 (2) Thrifting Diva wore a gorgeous thrifted cream colored ruffle dress that was under $20! (3) Destiny Green mixed prints of black and white and vintage all over. (4) Finding Paola wore vintage and modern pieces including some of her own Fanm Djamn designs. 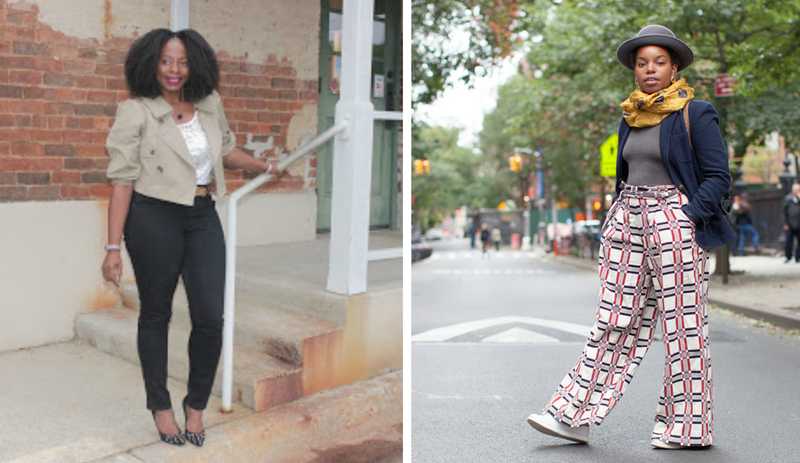 (5) A vintage jumpsuit is fabulously styled on Keren of Two Stylish Kays. (6) xo Necole found a vintage reversible cape and coined my new motto -- "I literally wore old people sh*t from thrift stores & had the items looking so new!" (7) A vintage trench from Thrifting Huntsville looks fabulous and fresh with the addition of a lovely print scarf. (8) Tiffany Ima gave us a lesson in near complimentary color combinations with this look. 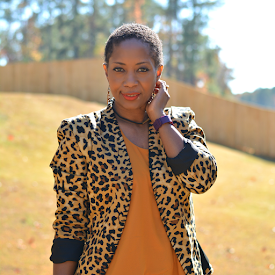 (11) Wendy of Just Jewels 4 U found a great blazer to dress up a simple jeans and tee look. 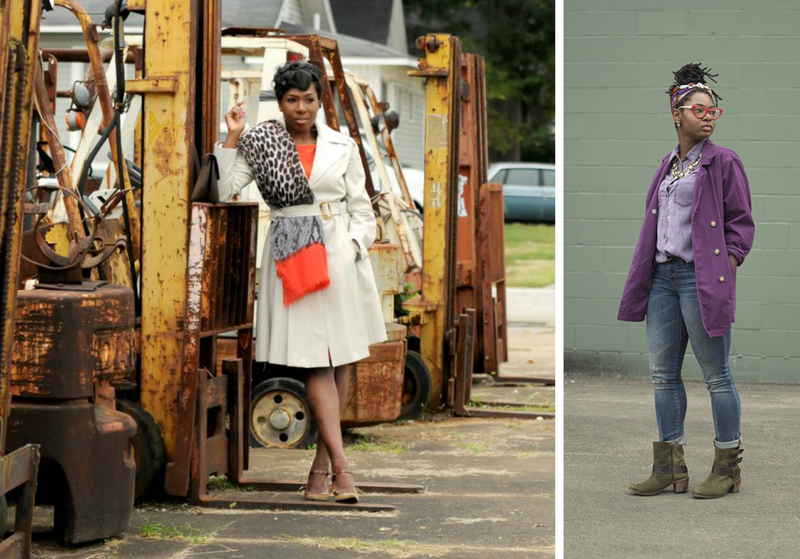 (12) Latonya Yvette paired vintage and vintage inspiration in this casual cool look. 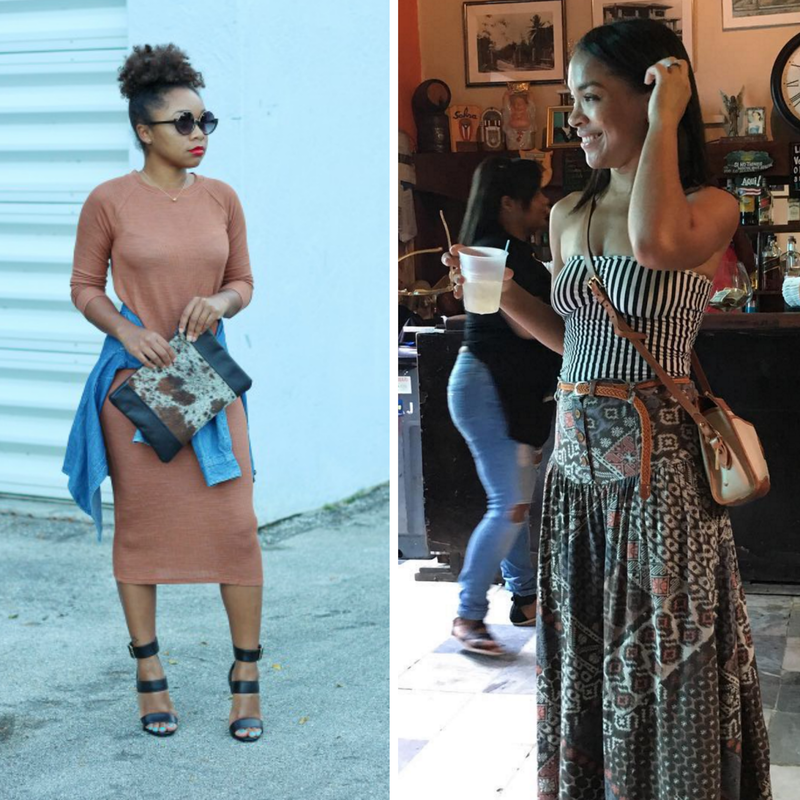 (13) Patrice of Looking Fly On a Dime stuns in a $6 cobalt blue maxi skirt find. (14) Le Noux Reject is bold and beautiful in a sheer blouse and vintage distressed jeans. 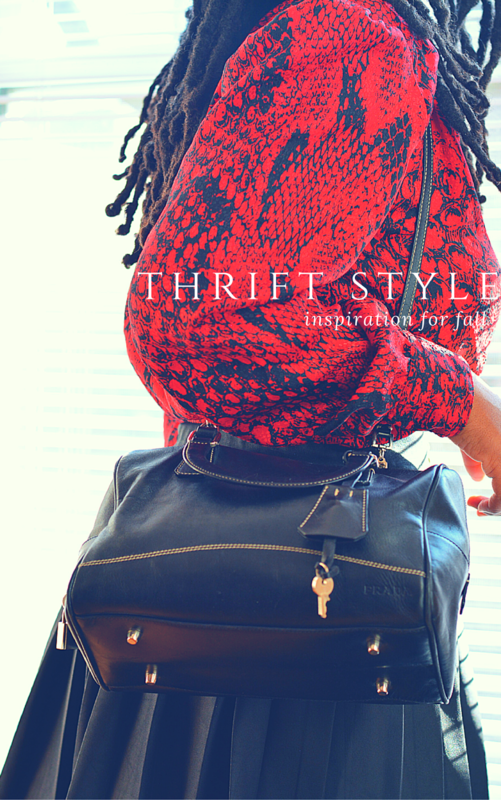 Find more inspiration by checking out this list 40 Thrift Style Bloggers to Follow. 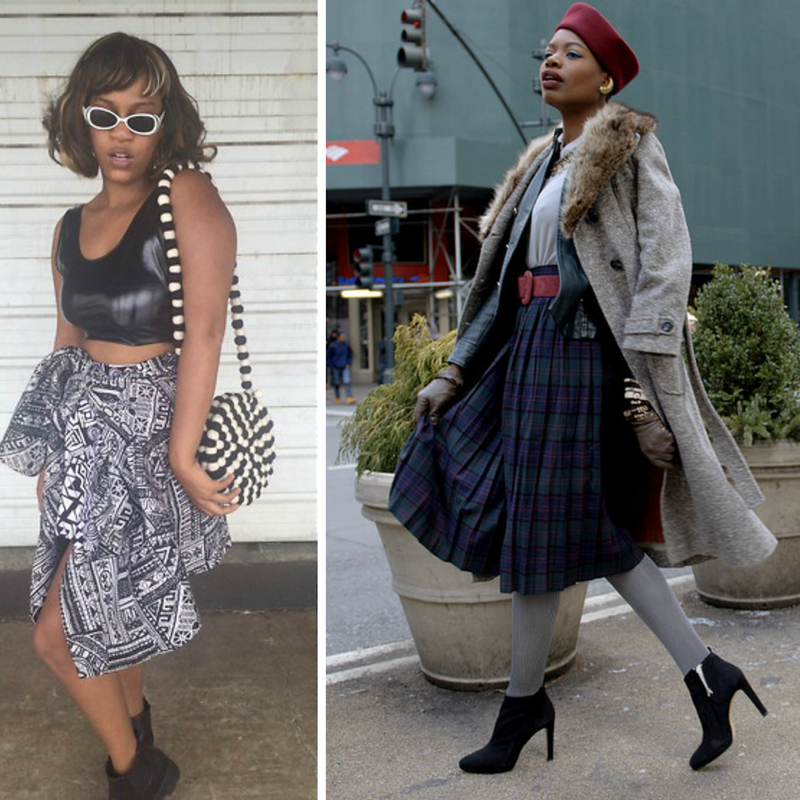 Who do you turn to for thrift style inspiration?